With the rise of virtual currencies like Bitcoin and Second Life’s Linden dollars, it’s not just early adopters swapping their physical cash for Internet bits and bytes. A lot of criminals are taking advantage too, using digital currency to launder money – and that money is fuelling other kinds of crime, both online and offline, according to a new white paper from McAfee Inc. Titled “Digital Laundry,” McAfee’s white paper looked at why criminals prefer virtual currency, even over cash. Before Bitcoin, there were exchanges like WebMoney, which was established in 1998. At one point, it was a stronghold for criminals interacting with customers. 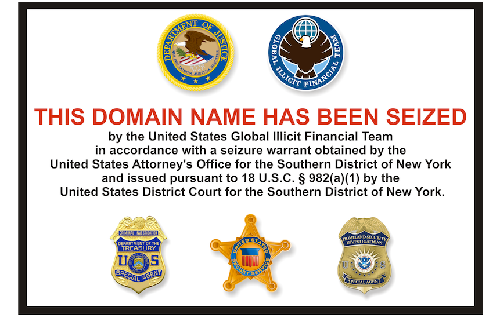 And then there were exchanges like Liberty Reserve, which was founded in 2006 and dissolved earlier this summer, and e-Gold, whose founders are now facing charges of money laundering – indicating there is no shortage of ways criminals can transfer money online. Liberty Reserve was taken offline earlier this summer. And unfortunately, it also goes to show shutting down a platform won’t deter criminals from ensuring their money can change hands, said Raj Samani, vice-president and CTO of the EMEA at McAfee, and one of the authors of the white paper. If we shut down Bitcoin tomorrow, cybercrime would continue on elsewhere, he added. Although Bitcoin has been garnering a lot of buzz in the media lately, we’ve really been using virtual currency for years, Samani said. For example, air miles and loyalty points are a form of currency, since they can be traded in for goods or services. Electronic money is basically the same concept, but in a different form. The reason electronic money is so alluring to criminals is pretty much the same reason the average individual finds it attractive, Samani notes in his paper. It’s convenient and accessible – for example, in doing a transaction, there’s no need to involve a bank or to wait for a sum of money to be processed. Neither party needs to use any debit or credit cards. And for criminals, there’s also the added benefit of anonymity. Beyond Bitcoin, or Linden dollars from the game Second Life, McAfee’s white paper also wrote about Ukash, another platform where cash is exchanged for a unique Ukash code. Users then take that code and spend or send money online. However, online currency is at the mercy of inflation and even hyperinflation. As noted in McAfee’s report, virtual currency isn’t 100 per cent reliable. In June 201l, Bitcoin’s biggest exchange service, Mt. Gox, suffered a number of hacking attacks, bringing down the value of a Bitcoin to less than $1. And if hackers get access to users’ digital wallets and steal the contents, unlike offline currency, there isn’t much recourse, the white paper notes. There’s no getting that money back. But even though virtual currencies do give criminals more license for their illicit activities, that doesn’t mean they don’t serve any purpose for businesses or for the average individual, Samani says. Yes, there’s a certain level of risk, but he doesn’t feel that should hamper people from trying to take advantage of all of the possibilities of digital currency. For individuals and businesses interested in delving into virtual currencies, Samani advises them to do their research. They should ensure they’re using the right security controls, like strong passwords, and they may also want to consider encrypting their devices. The most important thing, he said, is to follow due diligence ahead of time.